Originally, I entitled these series of articles as "On the Road to Recovery". It's what I actually wrote on my calendar to remind me that DH and I are both in a journey towards healing and hopefully get our cholesterol, LDL and triglyceride numbers back in line. Is it Really Recovery or is it Fat Loss? Well, today I renamed these article series instead as "Losing Fat by Intermittent Fasting". No, it isn't me jumping on the Intermittent Fasting bandwagon which, incidentally, started a few years ago. No, the reason is because I wanted the series to be more specific and accurate. It is to use the Intermittent Fasting eating pattern, not for weight loss or fat loss per se, but to correct all my bad numbers in my blood chemistry examination. Of course, I've read and do understand and anticipate that there will be weight loss. That for me would be icing on the cake (or the added bonus) once I'm able to get good blood chem/lipid numbers. 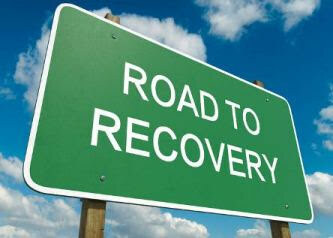 I'm getting rid of the phrase "On the Road to Recovery" as part of my article series title. Why? It because it suspiciously sounds like a recovery from an accident or maybe a certain condition, addiction or disorder like alcoholism or drug dependency. 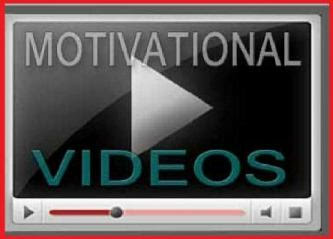 At least once a week, I'm looking and watching for youtube videos to continually motivate me in this journey. Many of the videos I've seen are presented in an entertaining way, and some like the BBC are highly engaging and informative documentaries. Whenever I feel in the doldrums and not optimistic about getting through a fasting day, I watch these videos. They take my mind off food and appetite. They enlighten and entertain me at the same time. It's a good thing that many of the fasting videos suggest coffee as a permissible beverage. I take coffee plain (or black) even in the past, without absolutely any need for sugar, milk or cream. Taken warm, it works effectively for me as an appetite suppressant. Keeping myself busy works wonders. Writing articles such as this, for instance keeps my mind busy enough to keep it from thinking or imagining about food. It also reminds and keeps me focused on the benefits of intermittent fasting. Yes, I noticed that I'm able to sleep much more quickly nowadays. And more importantly, I don't wake up 2 or 3 times during the night anymore to pee. That's how it was in the recent past. Somehow, when I become half-awake in the middle of my sleeping period, I found it a bit difficult getting back to sleep without getting up and going to the toilet to urinate. It's as if the call of the bladder is so much stronger than the call to go back to sleep. And when I get back to bed, I find it a good 1 or 2 minutes before I could get back to sleep again. Sometimes, I find it harder to resume sleeping that I just decide to start the day. This is especially so, if there's just 30 minutes before my alarm sets off. Now, it isn't so bad. There have been many times when I don't have to rise up from bed at all. I just rollover when I get half-awake and then fall asleep again. Nowadays, it's typically just the alarm that really wakes me up, thereby getting a good night's sleep every time.